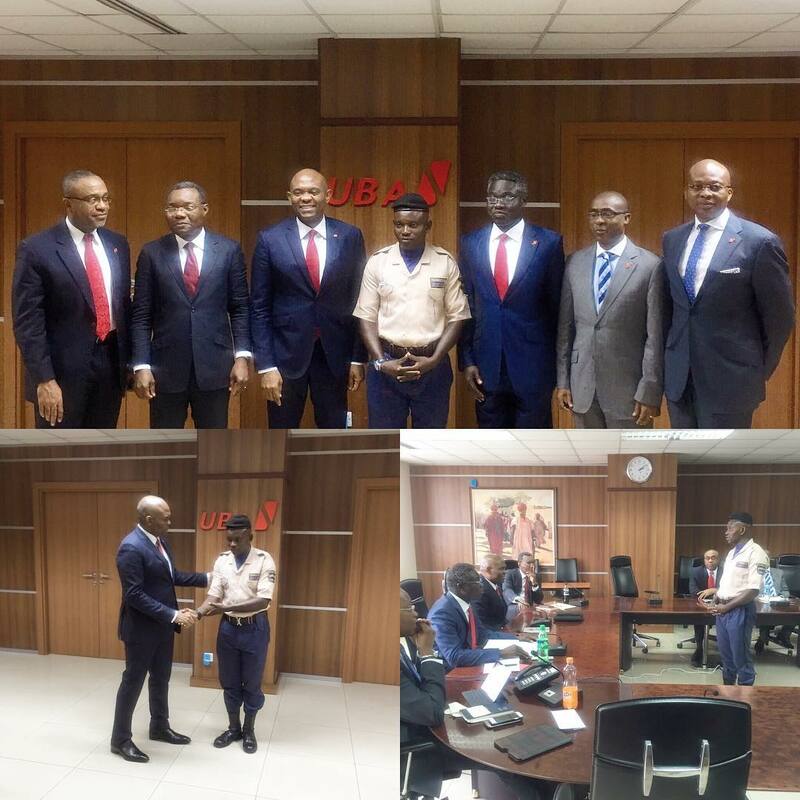 A security officer, Mohammed Ibrahim Ogbanago, at United Bank for Africa (UBA) in a display of integrity returned $10,000 (over N3.5 Million using the current black market rate) he found outside his branch at Oba Akran. Chairman of the UBA Group Plc., Tony Elumelu revealed this in an Instagram post on Saturday, praising Ogbanago’s “unparalleled display of integrity” even in the present economic crisis. Last month, Mohammed Ibrahim Ogbanago, a security guard at the @ubagroup branch in Oba Akran, found $10,000 belonging to a customer outside on the ground at his branch. In an unparalleled display of his own integrity, he decided to return the money, preserving the integrity of the bank. Mohammed Ibrahim Ogbanago is an exemplary ambassador of the UBA spirit and of our core values: “HEIR” Humility, Empathy, Integrity & Resilience. At @UBAGROUP the customer comes first and we uphold their trust in us. It was fulfilling to meet and reward him for his conduct.